Little pills all the same. And we all feel just the same. And drink and eat their beers and wings. Sick song puts the ill in pill. why thank you. I try. when i wrote this i was focusing on antidepressants mostly when i thought of pills but now after having some time to think about it I believe it applies to anyone who gets inducted into the modern medical machine. 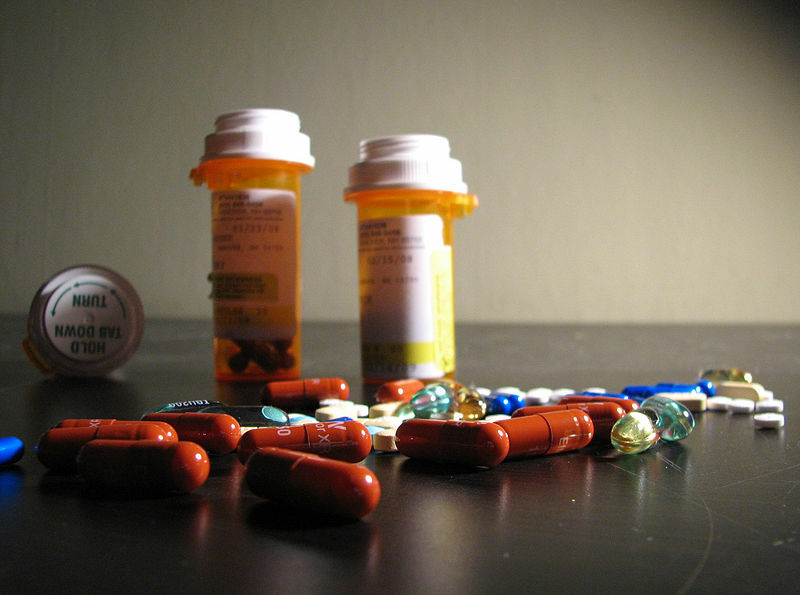 Cancer patients are given drugs that no one knows what might be doing to them long term. Epileptics have to take seizure meds for the rest of their lives. I have seizures and the side effects from the drug I take are amazing. I’ll cut and paste here in a second. I don’t experience any of them other than depression but to think that all of this could be a part of my life versus having seizures is quite a hard decision to make. Luckily, I had depression before I began taking Keppra, not as if that’s something to be happy about. I’ve greatly reversed serious and severe chronic health issues that I once thought might be lifelong. My main methods of health improvement have been diet modification, exercise, stress management, sufficient sleep, and getting fresh air and sunshine. All parts have been important, and diet modification has been very noticeably effective, especially the eliminating of trigger foods, and the emphasizing of certain foods. There are many variables with diet, and it has been a long road to figure out what works and doesn’t work for me. I’ve done a lot of elimination dieting, focusing on just one or a few foods, and finding out which foods have been detrimental and which are relatively neutral and which are health-supporting. Lately I’m mostly eating smoothies and fish soup. The smoothies contain bananas, frozen wild blueberries, raw almond butter, two teaspoons of celtic sea salt, and spring water. I have mixed feelings about the raw almond butter, but it’s working for now (I would prefer to try other fresh nuts such as walnuts pistachios and pinenuts and homemade nut butters, but fresh nuts have not been easily accessible for me). The fish soup includes only wild-caught fish (never farmed fish) as well as diced onion, celtic sea salt, and additional veggies. I’m still figuring out which veggies work for me… onion and zucchini seem to be ok. I avoid legumes, especially peanuts. I also have been avoiding all factory produced dairy, meats, and eggs. I may experiment with wild game and insects one day. I am also avoiding all overt oils and dairy-butter. I also have been avoiding grains. I’m still figuring out if any tubers will have a role in my diet. I’m avoiding many fruits, especially juicy fruits that often contain mold in the pit or on the surface because the toxic mold metabolites disperse throughout the juicy flesh. Also citrus fruits such as oranges and lemons I think might not resonate with me. Another thing is that I minimize any burning or browning of foods, because the browning reaction creates potentially harmful substances. For years I was having hyper-permeable blood vessels, where my hands and feet and knees would display edema and turn red when below my heart level. I think the condition was brought about by many things, including systemic inflammation and hyponatremia. Many foods seem to contain vaso-active substances such as histamine that have triggered the edema and blood flow issues. Studies show depression can be alleviated with exercise. I often feel blissed-out while bike riding and jogging/running/sprinting/walking. I often sing while I exercise. Foods also can affect brain chemistry. Another thing I was dealing with was tetany, which is similar to seizures in that it involves involuntary muscle contractions… twitches basically. I’m not an epileptic and I’ve not read much about the disease but I believe it can probably be well managed and maybe even cured with holistic approaches. I also think depression can be naturally managed, modulated, morphed, and made to be merely a momentary and peculiar mind state. If you can find anything on seizures I’d like to know. I don’t like the idea of being a slave to seizure medication when/if the grid goes down. I have a biological issue now where the structure of my brain has changed. I don’t believe any change in diet will alleviate the difference in brain structure. There might be a natural remedy to replace the seizure medication. I haven’t looked into that as of yet. Thanks for sharing. It’s really great to hear about how changes in diet can have such a positive effect on health. If you hear of any ways to help with seizures holistically I’m interested in that data. The problem is each seizure I have is terribly painful and isn’t anything I want to play around with while trying to get the right natural cure. I’m seizure free now and it’s because of the medication I currently take. With all the side effects I could suffer from that medication, I’d rather not have seizures. I don’t have many of the side effects though, if those were to change I can see looking for other solutions. It’d be nice to know there is something out there to try if I wasn’t able to receive my medication though. Just to know there is a backup for emergency situations would be nice to have.